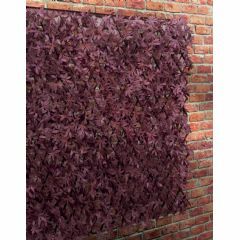 The Terra Traditional Willow Trellis Panel is perfect for disguising a small area or creating a delightful focal point in your garden, and now it is available as a great value Multi-Buy. 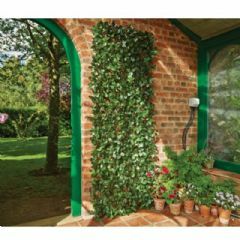 Although the diamond shaped lattice work makes a smart decoration on its own, imagine what it will look like covered in climbing plants such as clematis, honeysuckle, passion flower, ivy, hydrangea and jasmine, to name but a few. 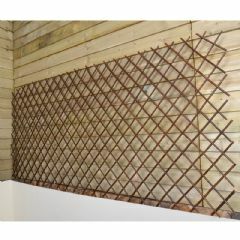 Manufactured from willow which is durable and weather resistant, this trellis is both stylish and natural in appearance. 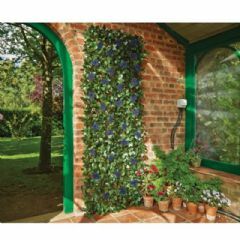 Ideal for use with planters or a great resolution for eyesores on your property such as an unsightly fence. Many people just enjoy having a trellis to create privacy between their house and a neighbour’s house. Whatever your reason this is a beautiful choice for your garden. Very happy with these trellises. I bought 4 last year and another 4 this year. They look great even before plants have matured. 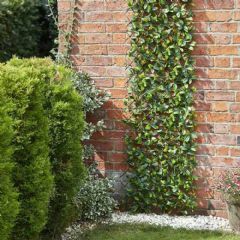 Smarten up the garden from day one and appear to be lasting well. 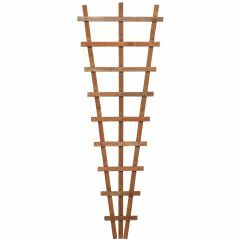 I was looking for trellis to attach to a new fence, these were excellent value if at first glance a little flimsy however they are sturdier than they look.  Attachment also appeared a problem given their construction but copper pipe clips provided a simple remedy. On delivery one of the panels was broken but a quick call to customer services, and emailed photo and a new panel arrived within 2 days. that's what I call excellent service. All in all I am vey happy with my purchase and the service from greenfingers. I was pleased with the trellis panels for use as a support for clematis and annual climbers. This despite the fact that one of the panels was broken at the base. One of the trellis panels was slightly broken but on the whole I was pleased with them and they look attractive in the garden.